Discover the comfort of cork with this sustainable yet signature floor. The soft surface of cork provides comfort underfoot and is popular in areas where you spend time on your feet (such as the kitchen). It is a natural insulator which is ideal for the Australian climate; warm and cosy in the winter, cool and refreshing in the summer. The insulation also reduces noise underfoot, muffling footsteps. With light shades of ivory and sand plus the dark contrasting hues of olive and leather, you can match your cork floor to suit your interior and personal style. Colours are preserved as the floor ages, adding to its long lifespan. Combining comfort, practicality and elegance, cork flooring gives a traditional material a modern twist. With the ability to be laid over many pre-existing floor surfaces, installation has never been so simple. With a glue-free process, ReadyCork uses the Uniclic joining technique enabling boards to simply click into place. 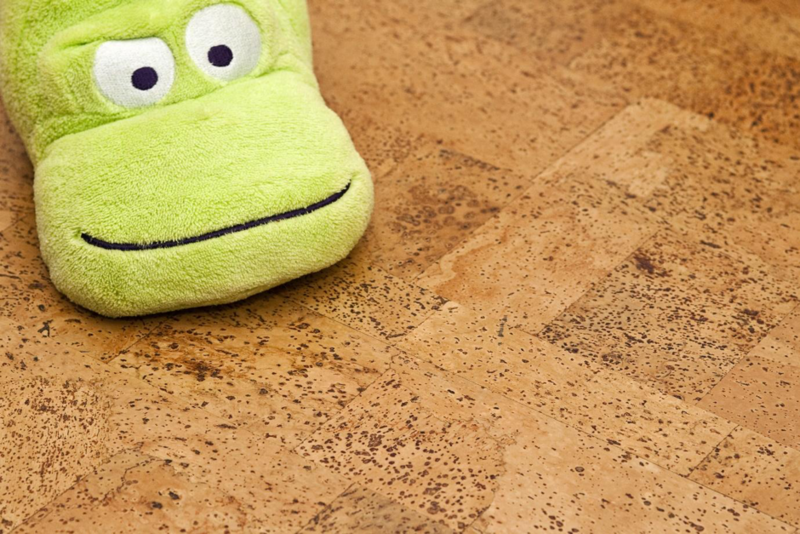 Once fitted, cork requires minimal maintenance; a damp mop and splash of detergent for general cleaning is sufficient. A hypoallergenic material, cork repels dust particles making it easier to clean and resulting in a healthier indoor air quality. It is also a good choice for people who suffer from allergies. As well as being impervious to water, mould and termites, cork is also fire resistant, making it a safe and reliable option in the home.